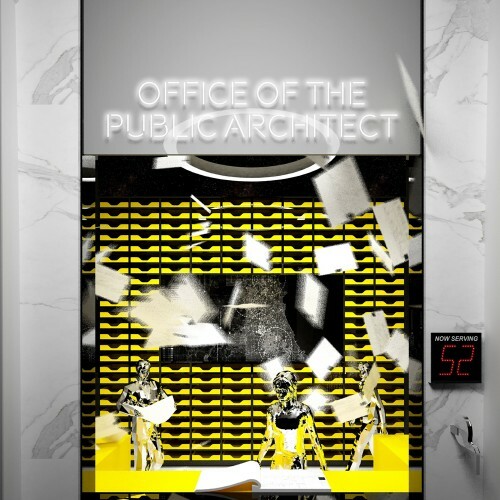 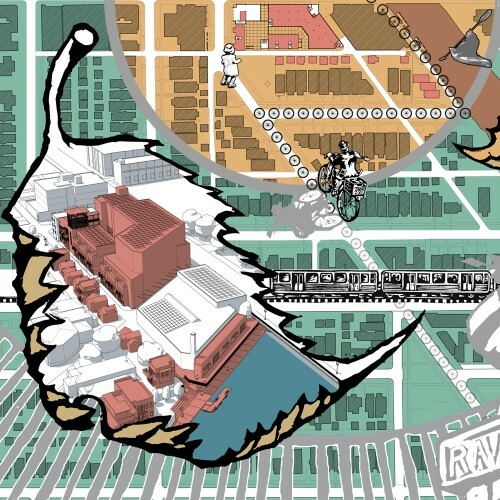 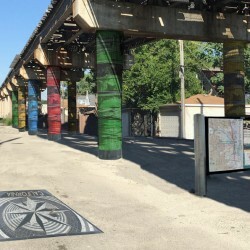 The Chicago Architecture Foundation’s new exhibition features 50 community-based design solutions for Chicago’s neighborhoods that transform underappreciated or underperforming spaces into rejuvenated community anchors. 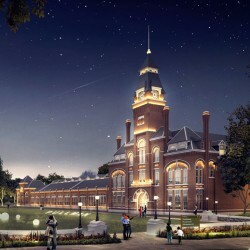 A new national monument becomes a beacon for the community and a catalyst for neighborhood improvements. 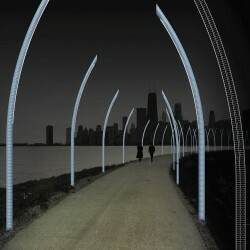 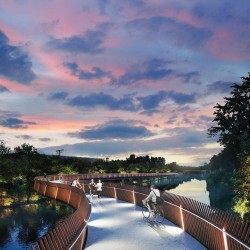 Elegant and responsive lighting takes its cues from the prairie along the lakefront trail. 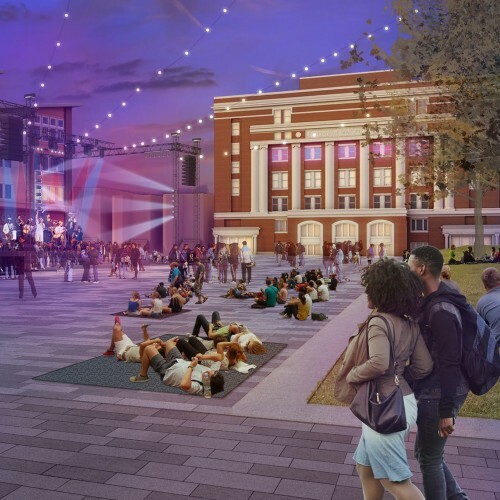 A socially-inclusive, community-friendly transit hub sparks art, music and new investment in Little Village. An unused and endangered house of worship becomes a community-focused arts center in Englewood. 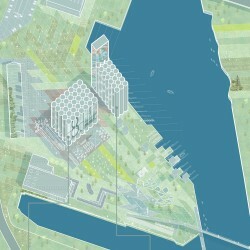 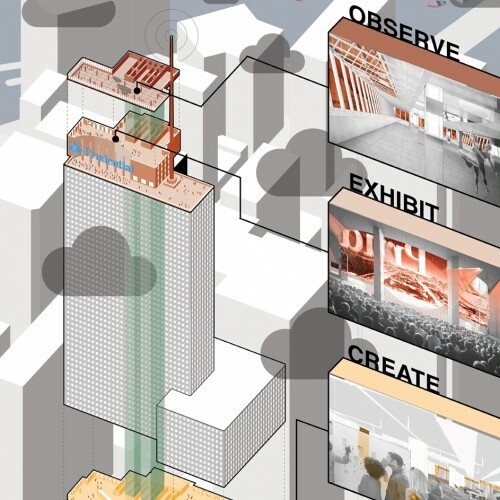 To breach a silo's walls, add some people, some infrastructure and the occassional place-making exercise. 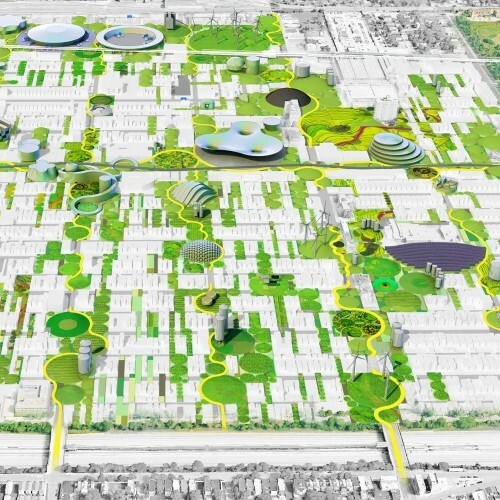 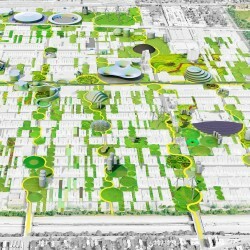 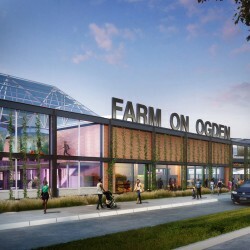 An urban farm of the future becomes a community anchor. 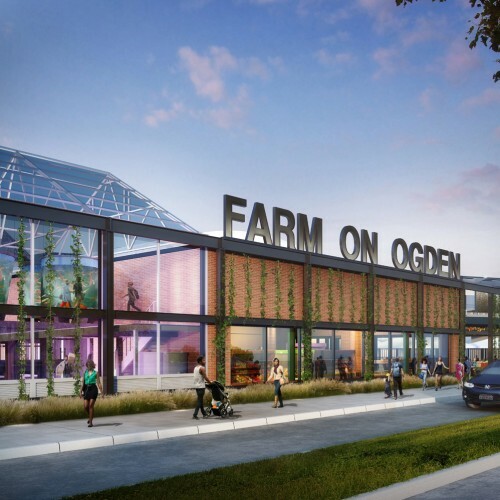 An engine for local food production in one of Chicago's most underserved communities. 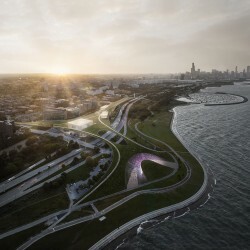 Bypass the bottlenecks with this scenic new drive and parkland bowing out into the lake. 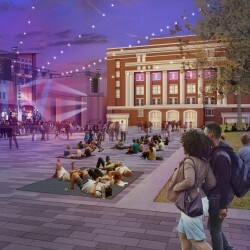 An art-making and community performance space fills a void in public arts education. 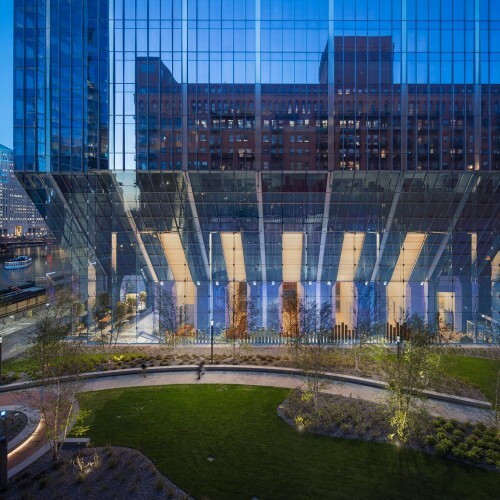 A building within a building brings new life and function to the office tower block. 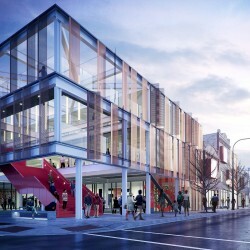 Modular urban infill stitches up a frayed commercial district. An elevated trail connector soars over the water and repairs a fracture in the North Branch River Trail. 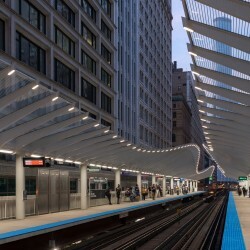 Chicago's newest "L" station weaves and ripples through the historic Wabash skyscraper canyon. 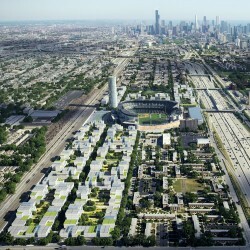 A gateway to the neighborhood models an idyllic future community. 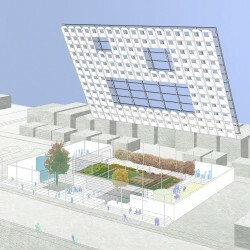 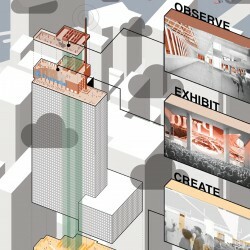 Asserting a new right to architectural services, regardless of ability to pay. 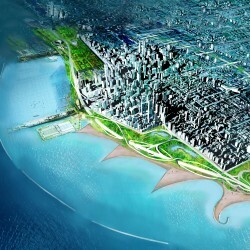 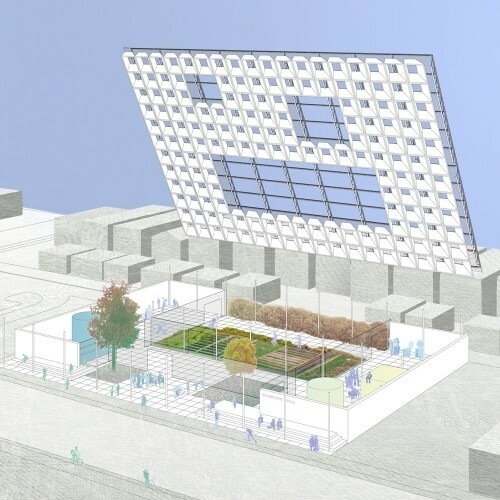 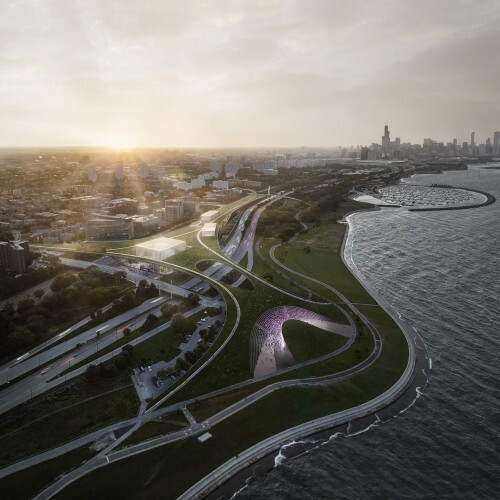 A lakefront megaproject for the people envisions a building that is part green space, part bridge and part business and arts incubator. Taming a sea of parking to integrate Guaranteed Rate Field with surrounding neighborhoods. A gravity-defying office tower that stands along the river, on a site that for many years was considered too troublesome for construction.